I recently read a tweet that mocked the number of times Instagrammers used the word “cozy” – ha! Maybe it is an overused word, but don’t we all love to get in our comfiest clothes and curl up with coffee or hot chocolate (or wine!) and a great book or movie. 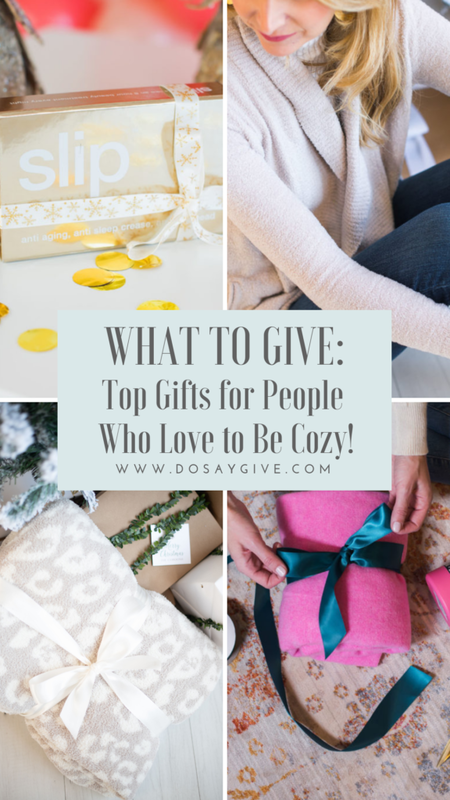 If someone on your list fits this description, you will enjoy today’s post as I am rounding up my favorite – and coziest – gifts! A cashmere wrap makes the perfect gift for someone travels often on planes or gets cold easily! My favorite travel wrap (25% off today with code FESTIVE18) is so luxurious, but if you are looking for something with a lower price tag, I love this Halogen wrap from Nordstrom that comes in plenty of beautiful colors! A Coravin is perfect for your parents or your husband. This handy tool makes wine pouring and preservation so easy. Or give to your sister or bestie with a fun set a wine glasses like these from August Morgan or your favorite bottle of wine! Y’all have heard me RAVE about these luxurious SLIP Silk pillowcases throughout the holiday season and they definitely qualify as a cozy gift! This gift set is exclusive at Neiman Marcus and comes with a pillowcase, eye mask and hair scrunchies. Want, please! Barefoot Dreams is the first brand I think of when I think cozy. 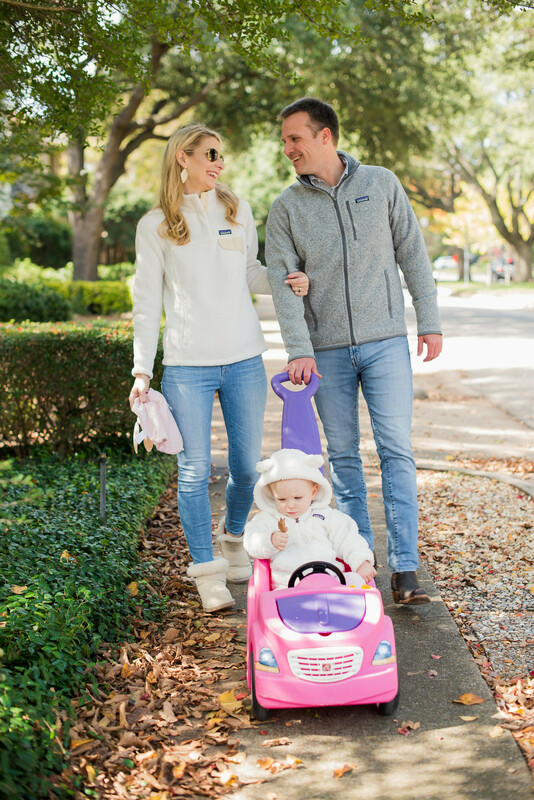 The Barefoot Dreams Cardigans are one of my go-to gifts for women because everyone LOVES how comfortable they are plus they are available in plenty of sizes and colors.Their throw blankets will quickly become your favorite! 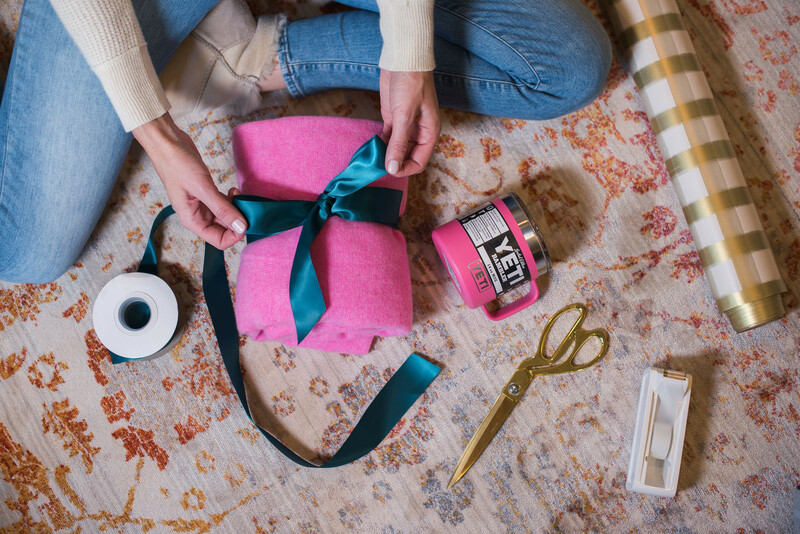 Gift one of their plush throws to your friend or family member that loves to curl up on the couch. 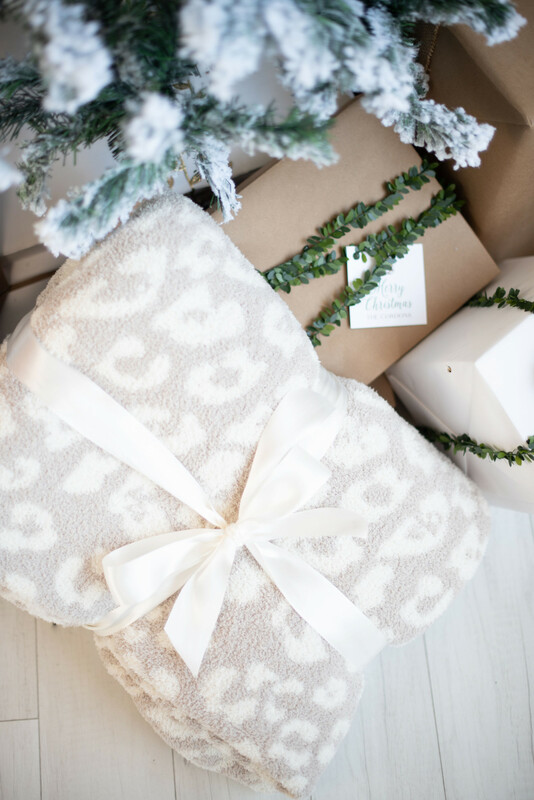 Also, don’t miss the gorgeous Joybird blankets on our gift guide. I love snuggling up with my children and reading a classic Christmas book. A children’s book or two is an easy and expensive gift for family friends. 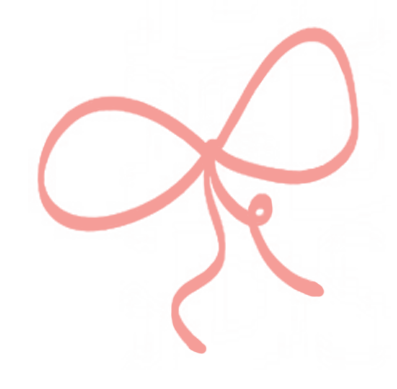 Browse my favorite picks here! I also have several of the latest design coffee table books in DoSayGive’s Gift Guide for Her. A mask set like this one from Peter Thomas Roth or Fresh is perfect for a girlfriend who loves beauty products. These masks are perfect for a night at home with Netflix and a glass of wine! Create the perfect ambiance for your cozy night at home with a Bluetooth speaker. These Micro Soundlink Bose Speakers are a good value, however if you are looking for a higher end speaker either, this Bose one is definitely the best! A cozy outfit isn’t complete without the perfect socks! My cousin recently told me about these little sock slippers by PJ Salvage and cannot wait to try them! I also love these UGG Socks! I wear my Patagonia Snap-T Pullover all the time! Find them in men’s sizes here and for kids here! These pullovers are no-fail teen and young adult gifts, too. 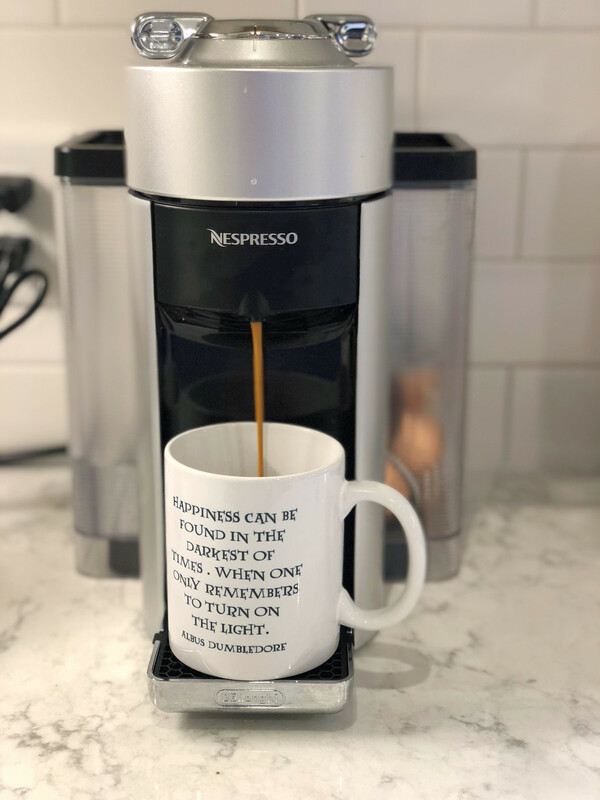 A Nespresso machine is perfect for the coffee connoisseur! This machine is petite, but makes the perfect cappuccinos! Also a nice client or employee gift! This mug, y’all! You can control the temperature with your phone to make sure your coffee, tea or hot chocolate stays warm all Christmas morning! Perfect for those hard-to-shop-for family members. Hot chocolate mix is a wonderful gift for a friend or neighbor to make on Christmas morning! 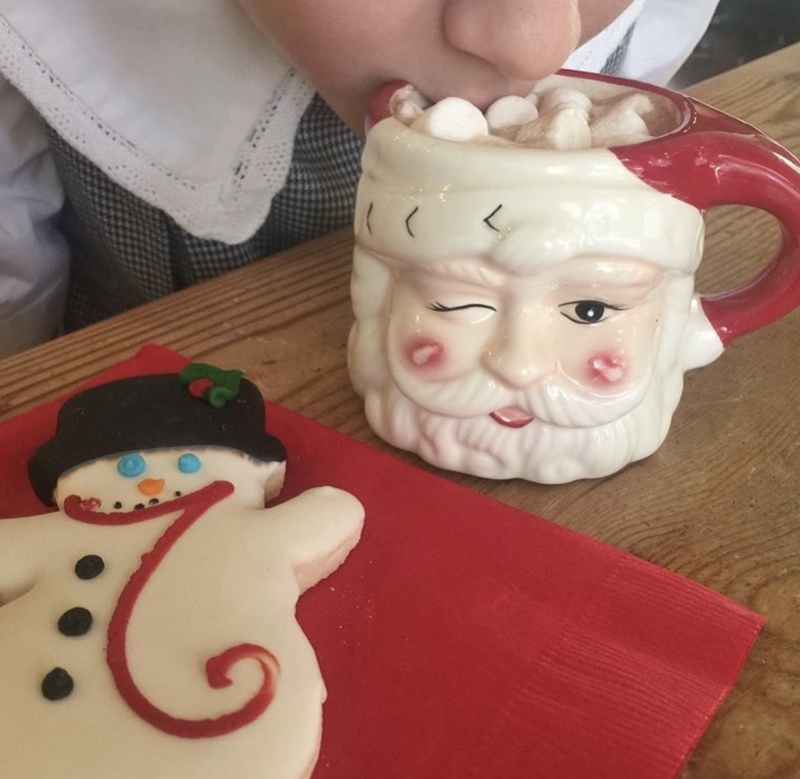 Or give our favorite Santa Winking Mugs to a special family on your list. These are some of my favorite luxury beauty products. The almond smell is truly irresistible and the shower oil is something your mom or mother-in-law might not buy for herself. 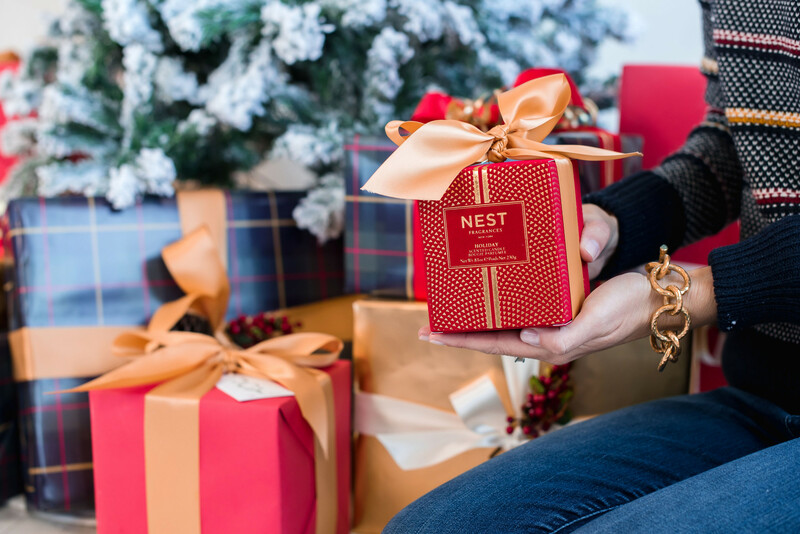 This is the perfect gift for someone who needs some “me” time! While NEST Candles and Volcano Capri Blue candles are always popular during the holiday, one of my other favorite holiday candles is the Simmered Cider candle from Thyme. This scent is perfect for the holiday season and will make you want to curl up with a cup of Apple Cider! Plus how cute is the canister?! How fun would it be to put on these UGG robes Christmas morning?! Such a fun gift for you and your spouse or maybe for your parents! Find the women’s UGG Robes here and men’s here! And y’all know I love Ugg slippers. My current slippers are on sale! Nothing says cozy like a dutch oven simmering something wonderful on the stove! I have had my Le Creuset Dutch Oven for 5 years and use it ALL THE TIME. My mom loves her Staub (currently 75% off!). Truly so easy to use and to clean. I know someone who gives these as wedding gifts to all her nieces and nephews. Great idea, right?! I love giving gifts that will be consumed! 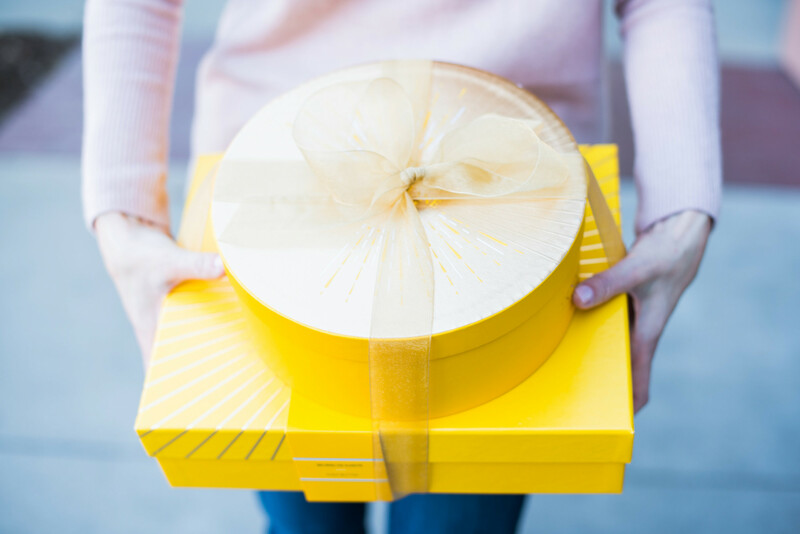 Don’t miss our top 10 food gifts you can still get in time for Christmas. 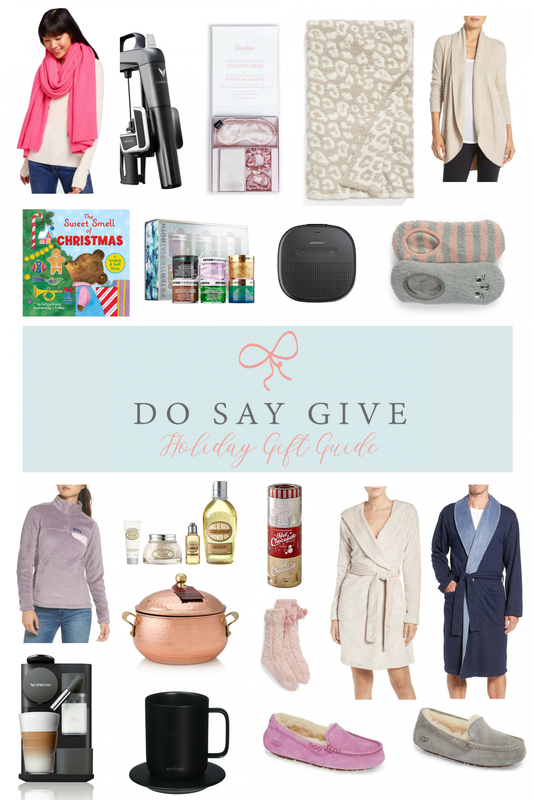 Don’t forget to browse DoSayGive’s Holiday Gift Guide for more great gifts and pin this post!